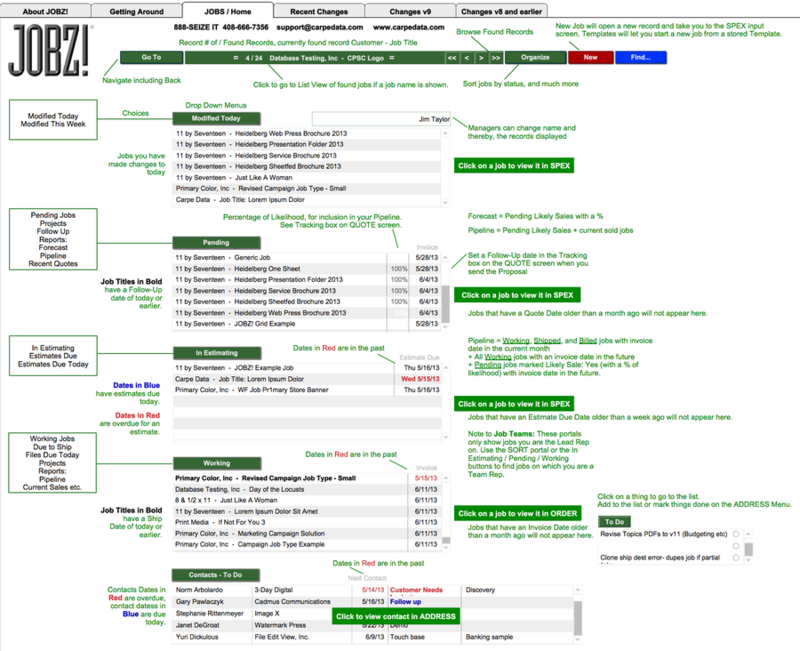 The Home Screen reveals the underlying organizational capabilities of JOBZ! As you work a job through time, its Status will change. At first, it will be In Estimating, then when you quote the customer it will be Pending. Turn it into an Order and it becomes Working, and then Shipped, and ultimately Billed. The Home Screen Dashboard presents a capsule view of all your live jobs based on their Status. It also displays your scheduled contacts and even a To Do list. Titling each section is a drop-down menu that performs organizational routines and reports for jobs in that context. It's all explained on the Help screen below. For example, dates in red are in the past, and dates in blue are today. The Manager's Home is slightly different than the Sale Rep's Home, as it includes jobs belonging to the reps who report to that manager. 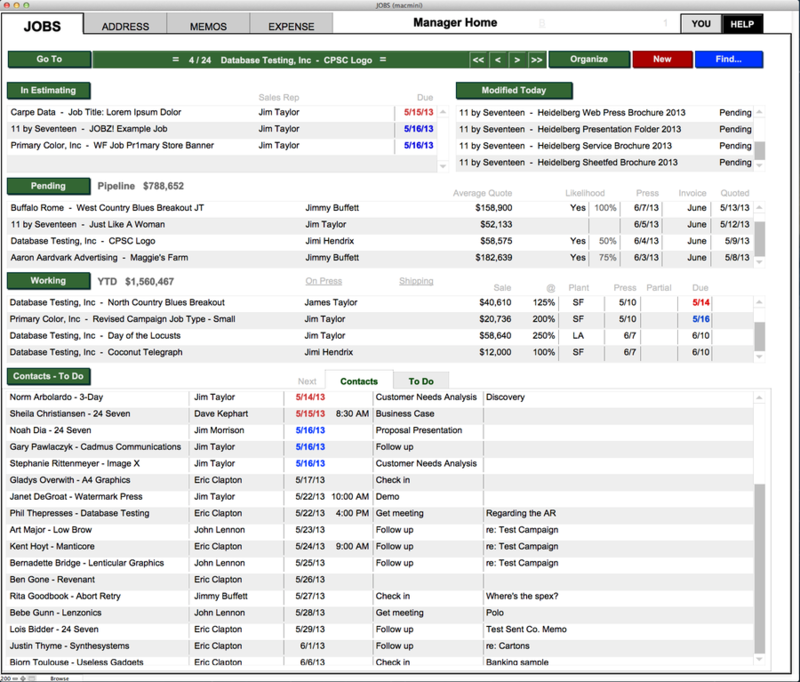 There are also Home screens for Production Managers and Estimators.